Thank you for your interest in collaborating with the Claremont Institute's Center for Constitutional Jurisprudence! 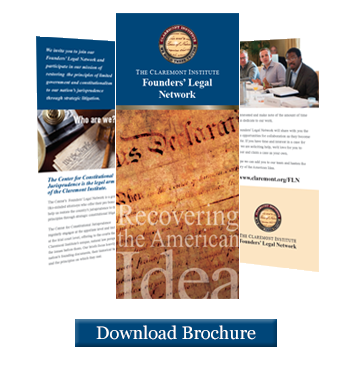 Our Founders’ Legal Network is a group of like-minded attorneys who offer their pro bono hours to help us restore the country’s jurisprudence to its founding principles through strategic constitutional litigation. 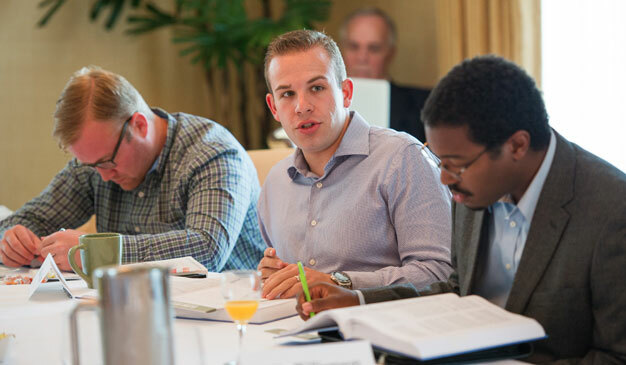 The Center for Constitutional Jurisprudence regularly engages at the appellate level, offering the courts the Claremont Institute's unique, natural law perspective on the issues before them. Our briefs focus heavily on the nation's founding documents, their historical record, and the principles in which they are rooted. We also have undertaken trial-level strategic litigation, and are expanding these efforts. We work on a broad range of constitutional issues, and we strongly encourage you to identify the issues in which you are most interested and the amount of time you can dedicate to our work. We hope that your collaboration with our scholars in preparing a brief for the courts will not merely influence the courts' opinions, but also inspire you to further engage with the natural law jurisprudence of the Framers.